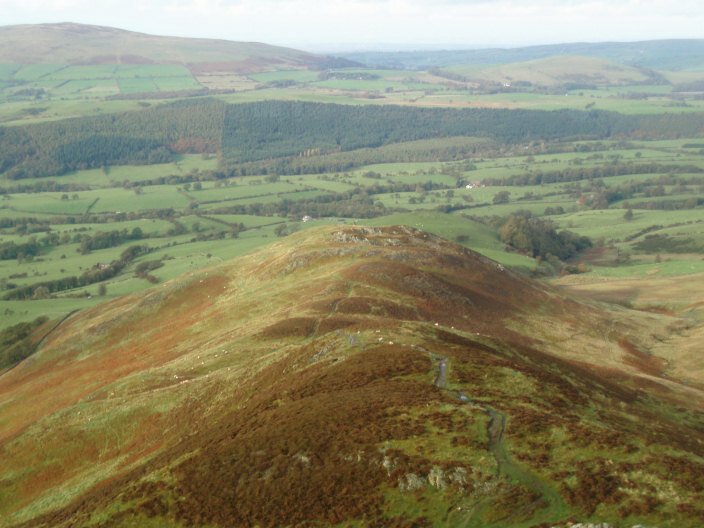 If I hadn't already planned to do Ullock Pike this week once we got to our base for the week it would have had to go on the list as every morning we woke up to a view of it. The weather forecast was for showers in the morning with the cloud base lifting in the afternoon and for once it was pretty much spot on. 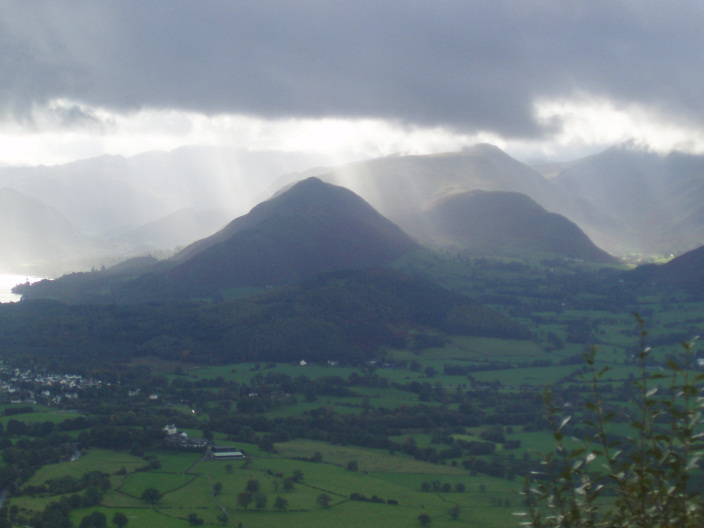 When we got to Dodd's summit the last of the day's showers quickly passed over us and from then on the cloud started to lift and we ended up walking in short sleeves, not bad for the end of October. Weather: Light rain to start which cleared to leave high cloud and sunshine. 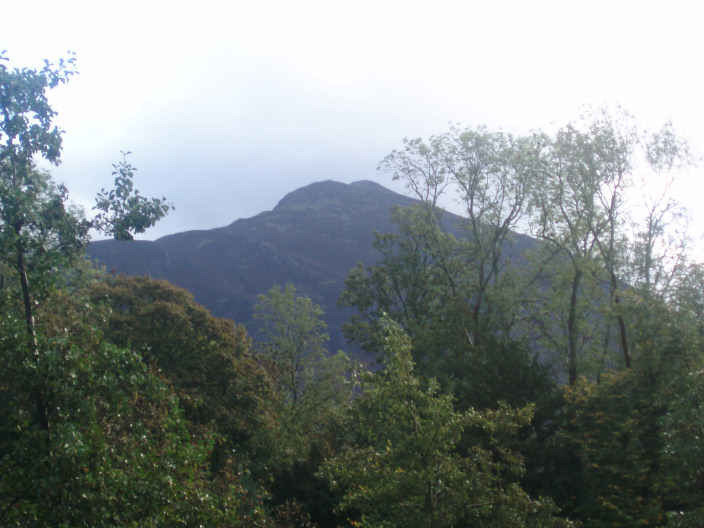 Ullock Pike as seen from the lodge where we were stopping all week. 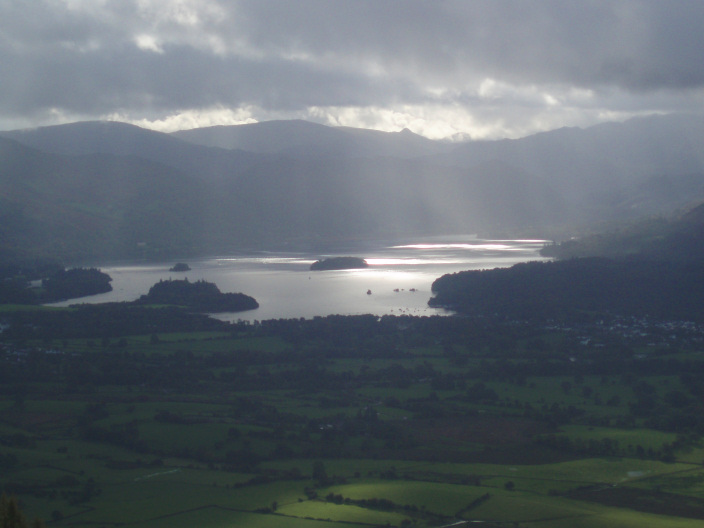 The rain is starting to move in as we approach the summit of Dodd and get this view across Derwent Water. 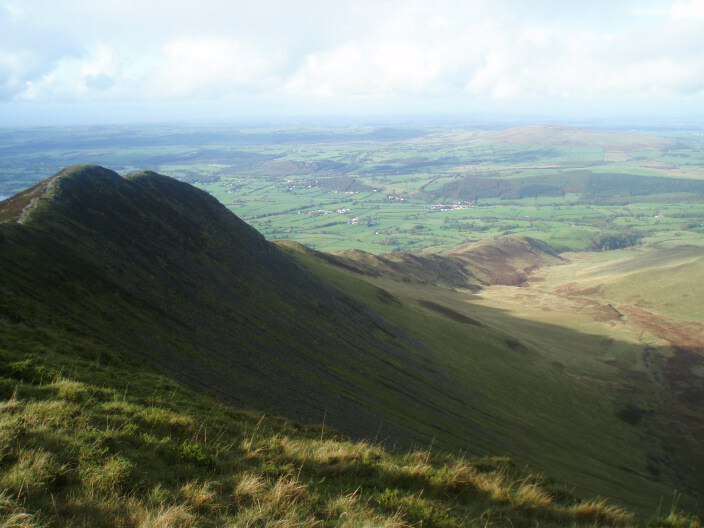 Further round Newlands Valley comes into view. 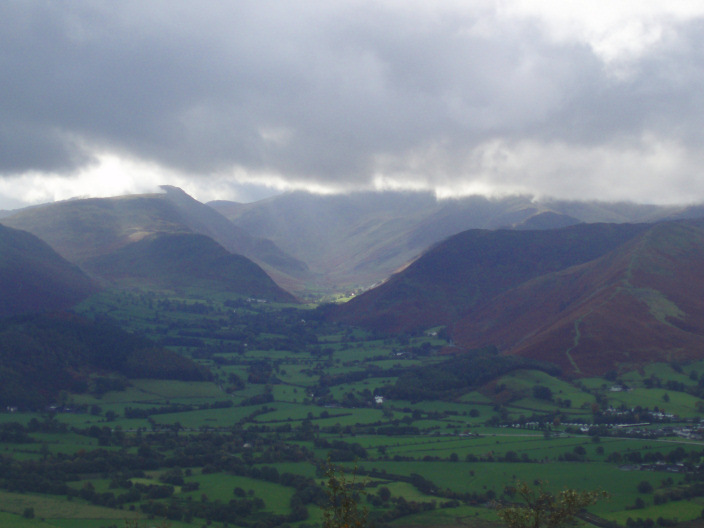 The weather starts to improve as we descend from Dodd and get a clearer view into Newlands Valley. 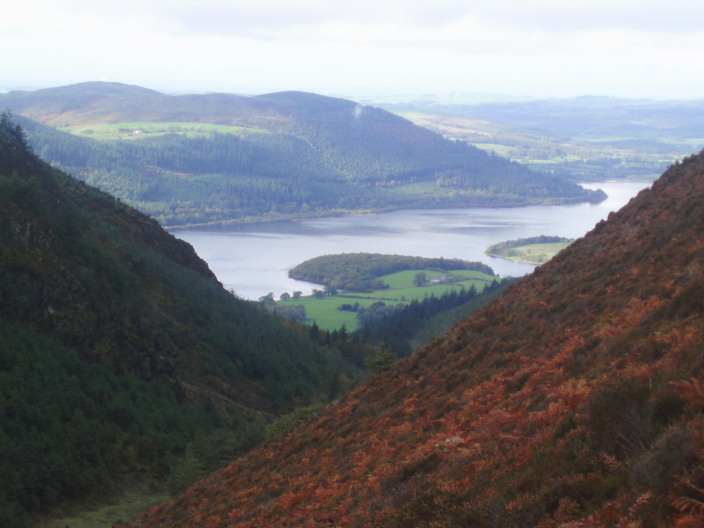 The steep climb up to Carl Side rewards us with this view across Bassenthwaite to Sale Fell. 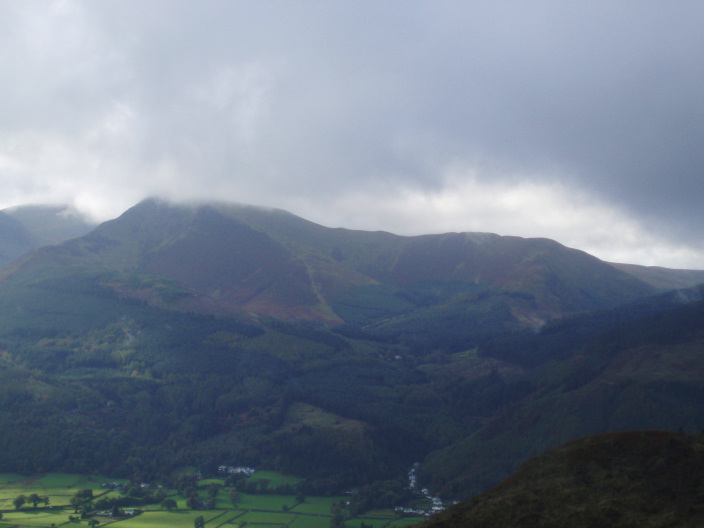 As we continue climbing Grisedale Pike comes into view. 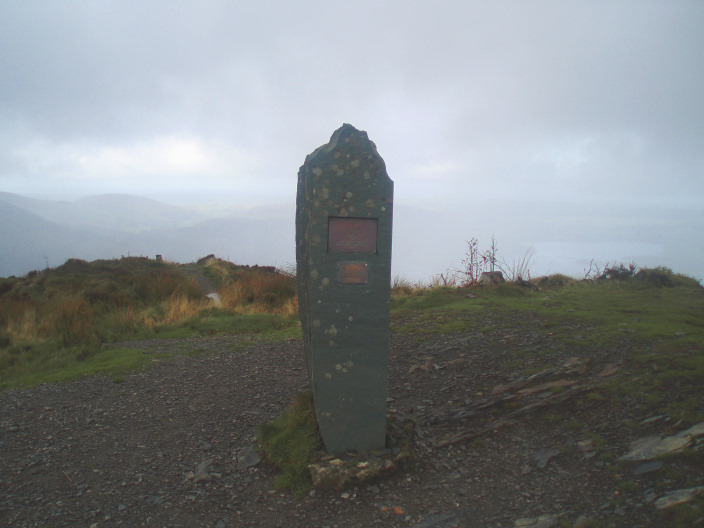 The summit cairn on Carl Side and our route ahead to Long Side is clearly visible behind it. 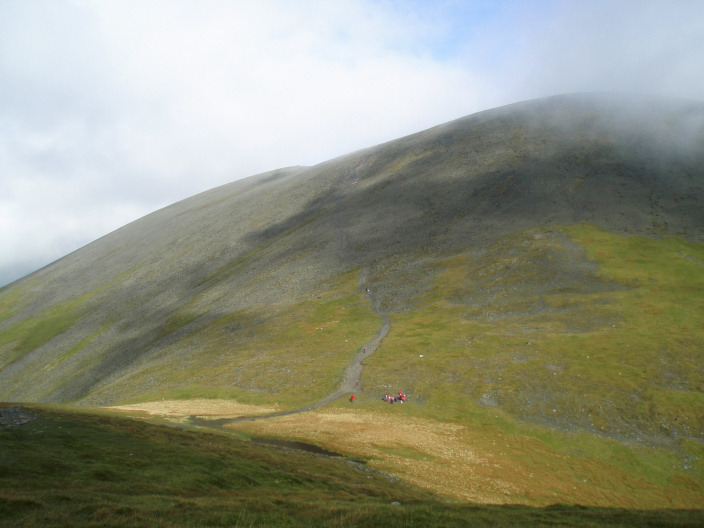 We sat eating our lunch watching people making their way to Skiddaw's summit up these steep scree slopes. 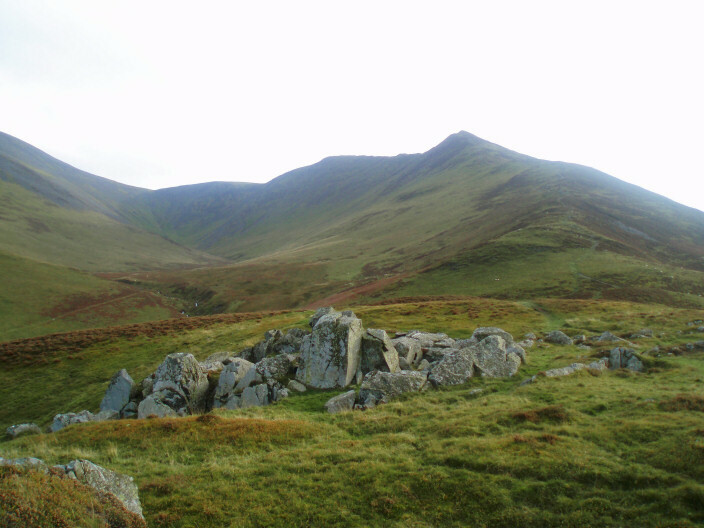 Looking back to Carl Side, with Little Man behind, from Long Side's summit. 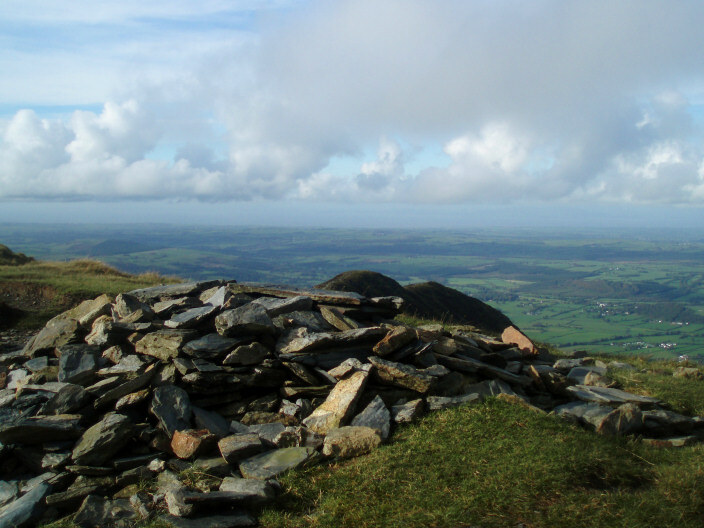 Long Side's summit cairn and the ever improving view as the cloud starts to lift. 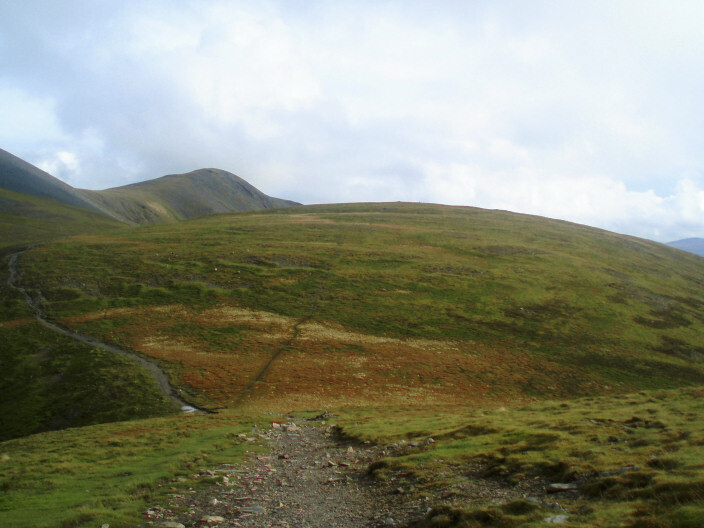 Our route of descent, over Ullock Pike and then down The Edge to Watches. 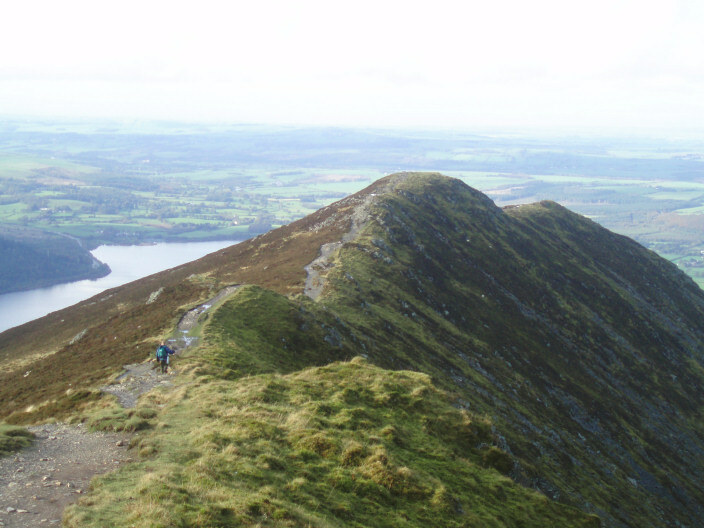 Heading towards Ullock Pike via Longside Edge. 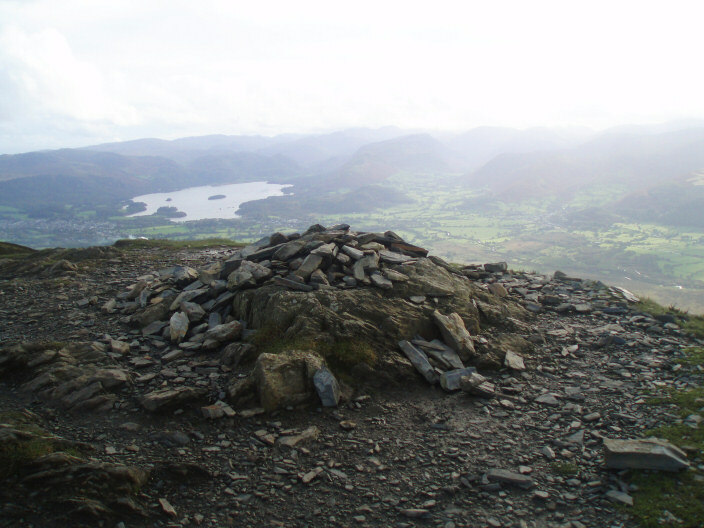 Ullock Pike's summit cairn with Derwent Water behind. Looking down at Watches' summit from the descent along The Edge. 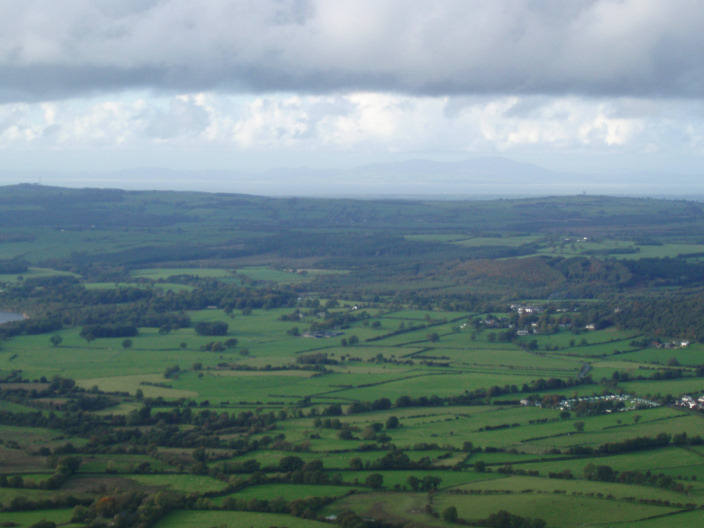 As the cloud continues to lift Scotland comes into view across the Solway Firth. 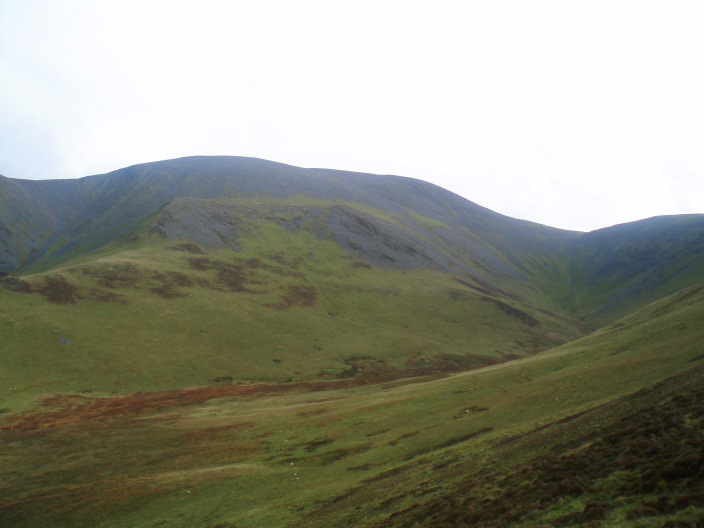 Looking back up The Edge towards Carl Side from Watches' summit. 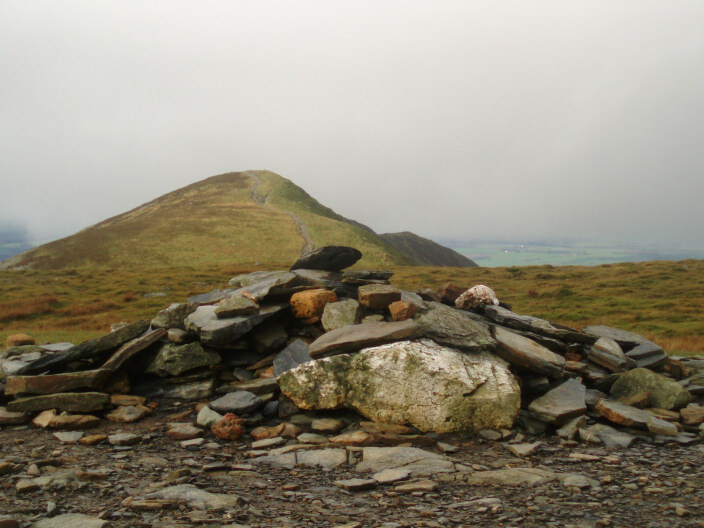 Skiddaw, now clear of cloud, from Watches' summit.